Designed and made in Britain, our products at Ari D. Norman are hand finished and hand polished to achieve premium results. 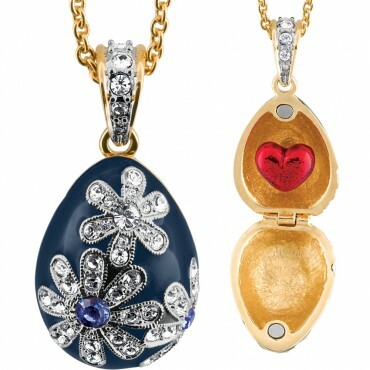 This blue egg and red enamel heart pendant could make a perfect and much loved gift for Mother’s Day. 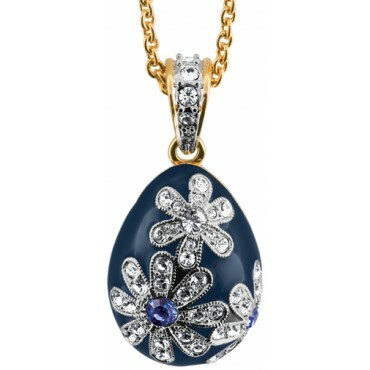 Our magnificent gold plated pendant is brilliantly decorated with jewellers enamel in a deep blue and set with beautiful blue and white crystals. 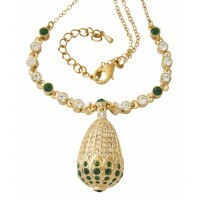 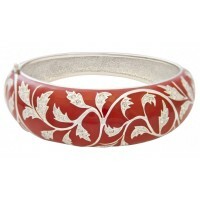 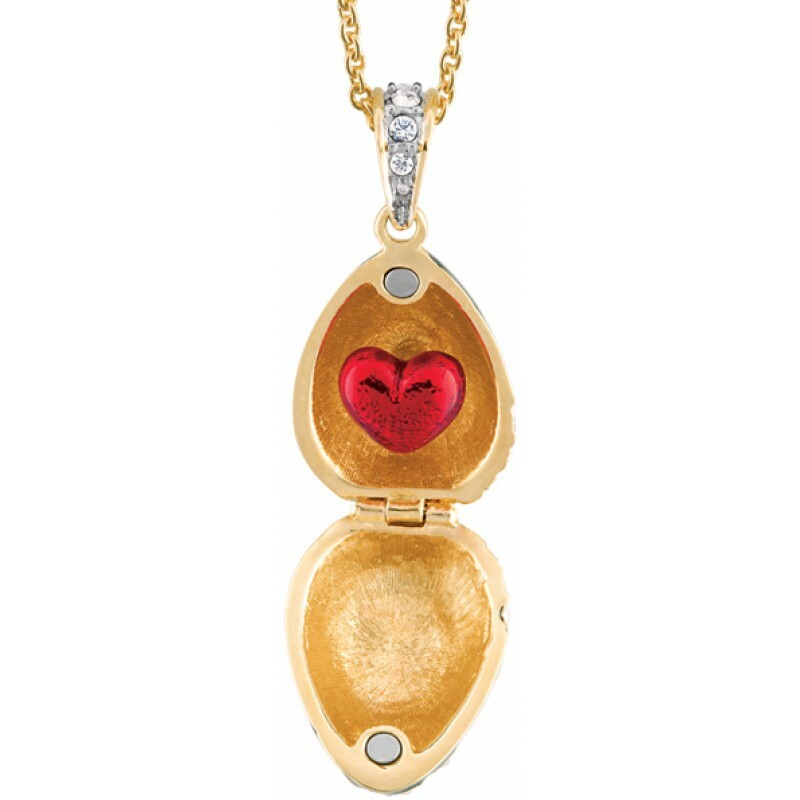 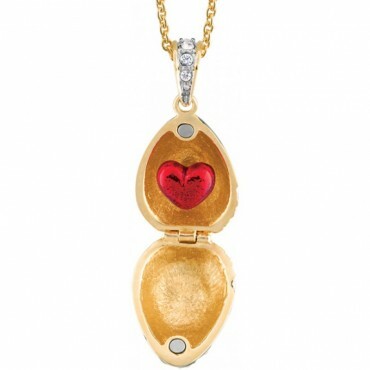 This pendant opens to reveal a gold plated interior and red enamel heart.